Sergeant First Class Michael Jon Wallace was born on November 21, 1939 in Ann Arbor, Michigan. 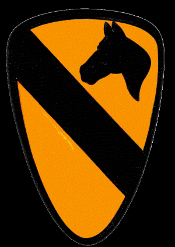 Sergeant First Class Wallace began his tour of duty in Thua Thien Province, South Vietnam at Camp Evans serving as a CH-47 Helicopter Repairer with B Company, 228th Assault Helicopter Battalion, 11th Aviation Group, 1st Cavalry Division. On April 19, 1968 three Army helicopters were shot down in the A Shau Valley of South Vietnam. All three were making supply runs to Landing Zone Tiger in Quang Tri Province. Five men survived the three crashes, and nine men remain missing. On April 19, 1968, Michael was a crew chief on a CH-47 Chinook helicopter flying a mid-day supply mission. The helicopter was descending through an overcast sky and was on its final approach to Landing Zone Tiger in Quang Tri Province when it was struck by enemy .50 cal and 37mm ground fire, caught fire and began to burn. The gunner witnessed Michael and the flight engineer, Anthony Housh, jump fr om the helicopter when it was about 100 feet off of the ground. The aircraft crash landed and the remainder of the crew was rescued. 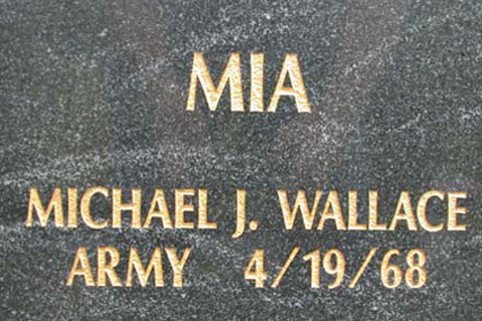 Michael's body was never recovered and he was listed as Missing In Action (MIA). On February 6, 1974, Michael's status was changed to "Died While Missing In Action." Michael Jon Wallace is survived by his wife and two children, and a sister. He lived 28 years, 4 months and 28 days. He is remembered with a Military Marker in East Oak Grove Cemetery in Chelsea, Michigan. Michael's name is listed on the Vietnam Memorial in Ypsilanti Township as MIA. His name also appears on the Vietnam Memorial in Washington, DC on Panel 51E Line 002.